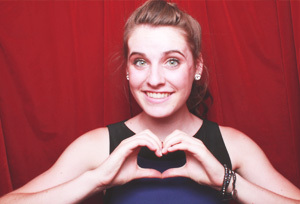 Renting a photobooth for your high school class is an amazing way to capture the memories. Whether it’s a graduation party, a prom, the homecoming, or just the spring carnival, nothing beats the candid shots from a photobooth. Because all the photobooths from A flying Camera include unlimited sessions for the length of the party, there’s plenty of time for all the students to take shots with a variety of their friends. Do all those young adults in your life spend as much time on Facebook, Instagram or Snapchat as they do sleeping or breathing? The photobooth also prompts you to enter your email address so a copy of the picture arrives in your electronic postbox, perfect for instant sharing! However, In the age of digital snaps, actual paper photos can be the hit of the party. Because they’re retro and you can hold them in your hand, they feel more special. Popular with parents, teachers, chaperones, and most importantly the students. Each one is a great souvenir that will still be pinned to the wall, even after all the other photos are lost when the iPhone accidentally gets left on the roof of the car. And if you’re old (don’t worry, I’m old too), you shouldn’t forget about your high school reunion. How amazing would it be to compare the pictures of you and your friends back then to the pictures of you 20 years later? A Flying Camera was at a fundraiser for my son’s school. It was a blast; everyone had such a good time. The kids couldn’t get enough of it and loved dressing up. Even some of the grandparents were getting in there to take some priceless photos with the grandkids. I hope they are there next year too!